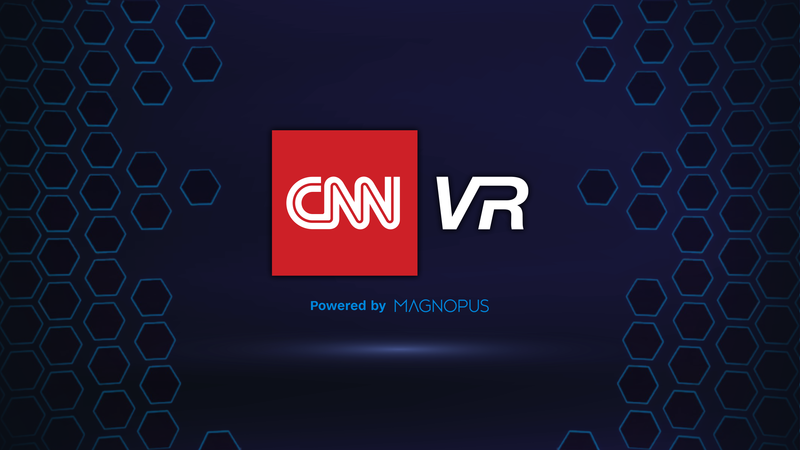 CNNVR, a new virtual reality experience from CNN and Magnopus, launched today on Oculus Rift headsets. CNN’s new Oculus app gives audiences the power to “go there” through a robust interactive experience comprised of CNN’s signature breaking news video and original 360° stories – providing a deeper sense of ‘connectedness’ with the news. The first truly live VR news experience, the app positions the user as the “producer” of their own show, putting them at the center of their experience. Following a user tutorial voiced by CNN anchor Wolf Blitzer, users can choose “News” for the latest breaking video from CNN or “360” to transport into the best immersive original 360° video from CNN journalists around the globe, connecting you to the news like never before. The app launches with more than 100 virtual reality stories from dozens of countries, all delivered in 4K resolution with encoding by Pixvana. The CNNVR app also includes a CNN ticker scroll and social integration with CNN’s Twitter accounts, so you can get up-to-the-minute breaking news alerts throughout your experience. Go to the front lines with our reporters and understand the story from the inside out.